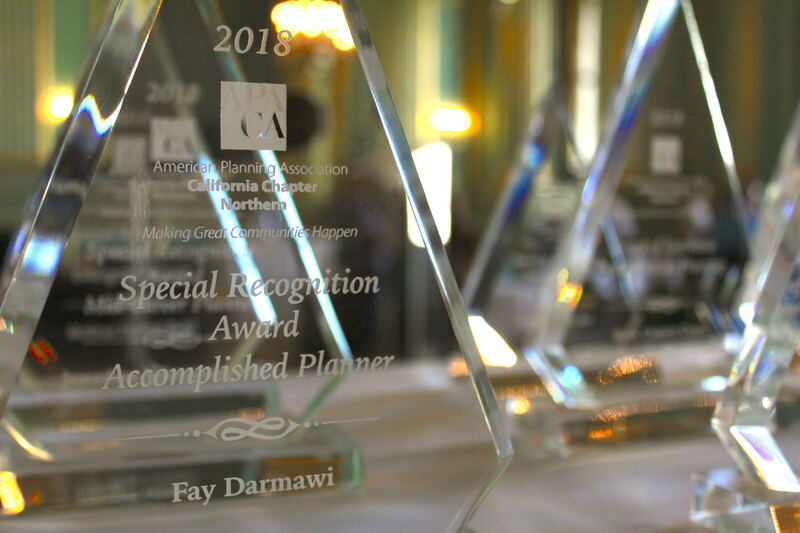 Thank you to the American Planning Association California Chapter, Northern Section for awarding Fay Darmawi, SF Urban Film Fest Founder, the 2018 Accomplished Planner award. The APA chapters annually recognizes city planners working in government and the private sector, and also lay people, for their innovative service or projects. Fay was recognized for founding the SF Urban Film Fest and serving 6 years on the Board of Chinatown Community Development Center. Kudos to the Northern Chapter leaders Sharon Agrawal and James Castaneda for highlighting non-traditional planning careers and showing the unlimited potential impact of city planners!